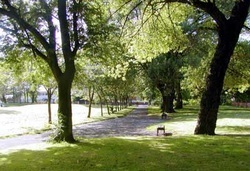 Swinton Grove Park is a city park in Chorlton-on-Medlock, Manchester. 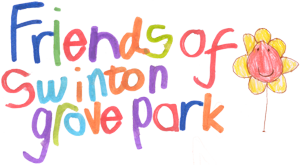 ​The friends are a group of local residents who work as volunteers to improve the park for everyone. With help from Manchester Leisure we have been able to completely transform the park in the last few years, putting in a new children's play area, sports area, quiet area with plants and flowers, benches, tables, new signs, gates and railings. 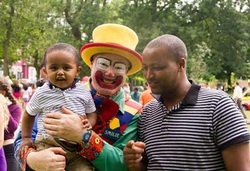 Every year we organise and run a Family Fun Day in the park. Some photographs of Swinton Grove Park, its history as part of the grounds of Elizabeth Gaskell's House and, "The Rock of the Park". Every July we organise a Fun Day in the park for the whole community with live music, entertainers, sport, stalls, crafts, food and much more. The ‘Friends’ are all residents from the area around the park. 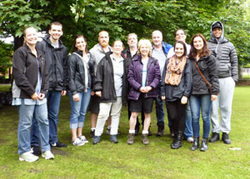 Some of us meet once a month and others join us to help with events such as the Fun Day.